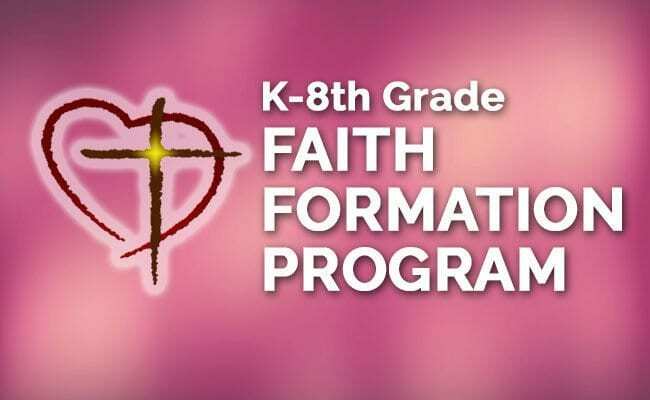 Any child K-8 that is attending a public school should be registered in Sunday faith formation classes. Classes begin with the 9:30am Mass and end at Noon in the school. Please note: Open House (which a parent/guardian and child must attend) is September 9th immediately following the 9:30am Mass in the parish center. September 16th will be the first teacher taught class. Registration forms are available under the Religious Education tab (K-8), parish office or Narthex of the Church. For further information, contact Lisa Gunnin at (727) 541-4447.